Sand is only one option available for bedding dairy cubicles, posing its own challenges and benefits. Laura Bowyer visited Richard Chewter at a quarry in Hampshire. At a 49-hectare (120-acre) site in Fawley, Hampshire, natural materials mining firm Mid Hants is digging for sand, destined for dairy cattle bedding. One of the firm’s 10 sites across the UK, the Fawley quarry is excavated in phases, and then restored to its original farmland state. Now in it’s fourth working year, the quarry is a joint venture with the land owner, who is paid a royalty, and the company expects to work it for a further 20 years yet. The site is headed up by operations manager Richard Chewter, an ex-dairy farmer who is clearly passionate about the quarry and its relationship with the dairy industry. But it is not just the type of sand which can have an effect on quality in the cubicle he explains, but also the way it is handled, stored and managed. Mr Chewter explains the firm’s sand quarrying process. This process leaves three to eight metres of flint gravel in the quarry which is subsequently washed and sold. Beneath this flint lies 10m of sand, he says. This sand was deposited some 37-40 million years ago as beaches and shoals in a shoreline environment. Sands are of different colour and character, with the deposit at Fawley being unusually pale in colour and free from silts. “The sand varies slightly in colour,” says Mr. Chewter. “But following excavation and screening they become whiter, being exposed to the sun and oxygen, but the grade stays the same”. The sand is dug by 50-tonne excavators and moved by 30t dumpers, which are able to quarry up to 5,000t per day. The excavation is dewatered by pumping to ensure the sand is dry enough to be screened. The screeners use 0.8mm piano wires at 3mm intervals to produce an evenly-graded product. The water at the quarry is clean and fresh and tested every three months for e.coli and salmonella, which Mr Chewter says would not be done by a quarry not dealing specifically with bedding sand. The quarry also produces a range of construction aggregates. Aggregates are being imported from the sea, to extend the life of the quarry. Once the company has finished digging in the quarry, most of the site will be filled in, the subsoil and topsoil replaced, and it will go back to its previous use as farmland, with some areas left as lakes and wetland to encourage biodiversity. Mr Chewter says bedding sand is not treated in anyway at the site, but dehydrated lime can be used to increase its pH level, as an environment with a pH over 6.5 will kill bacteria. Bacteria cannot grow in sand alone because it is inert, and thus chemically inactive. 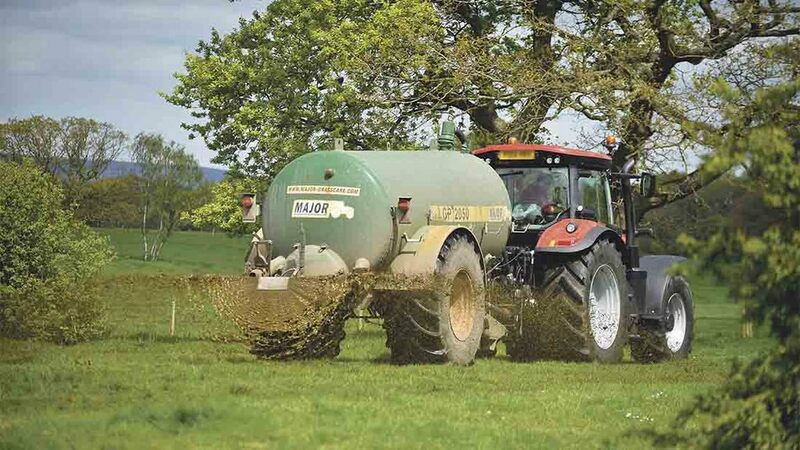 But managing slurry from a sand system can pose problems on some farms. Mr Chewter says: “If you use sea sand the slurry will have a high pH, causing minerals in the ground to lock-up, which is almost impossible to counteract. Many farmers in Devon and Cornwall are moving away from using sea sand because their soil pH is getting too high. Recycled sand could be contaminated with anything he says, including oil, selenium and arsenic. If this is to be used, Mr Chewter advises a full chemical analysis of the sand, along with the water it was washed in. He says: “Do not be fooled by cheap sand which looks good, because it could be heavily contaminated waste material which your cows will lie on and then spread on your ground. When it comes to grain size, it all comes down to personal preference says Mr Chewter, but be aware finer sands will hold moisture longer than coarser sands. Sand destined for bedding is from 60-120 microns. Dispensers may not run properly if moisture levels in sand are too high.